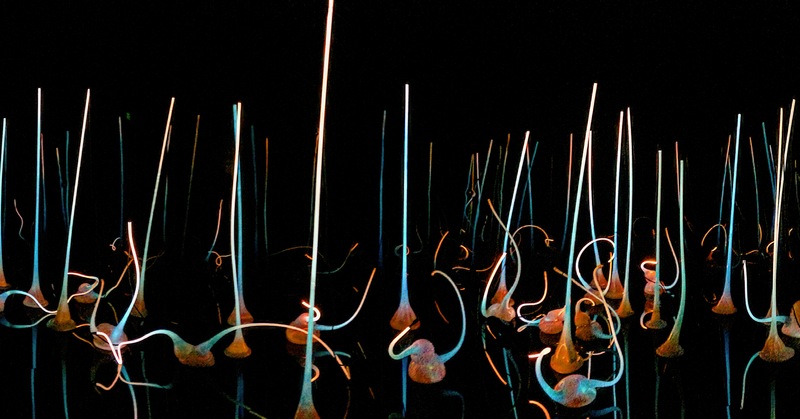 I first became aware of Dale Chihuly and his Seattle exhibit through my wife. 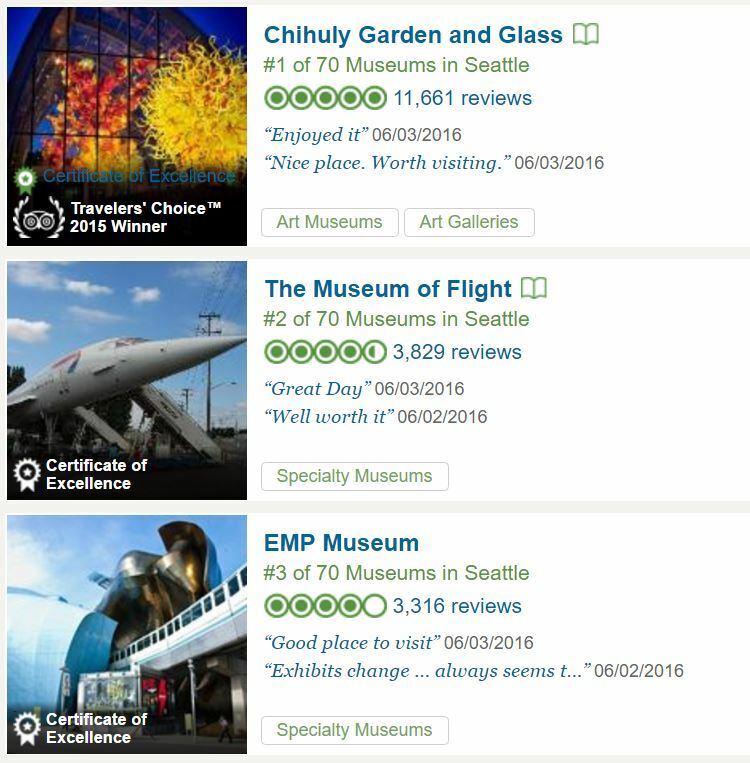 When we were planning our trip to Seattle, she did some research online and discovered that the Chihuly Garden and Glass was rated near the top, often the number one recommended attraction, for out of town visitors. Once I learned that, it went on the official travel itinerary. It also didn’t hurt that it was within walking distance of our hotel. 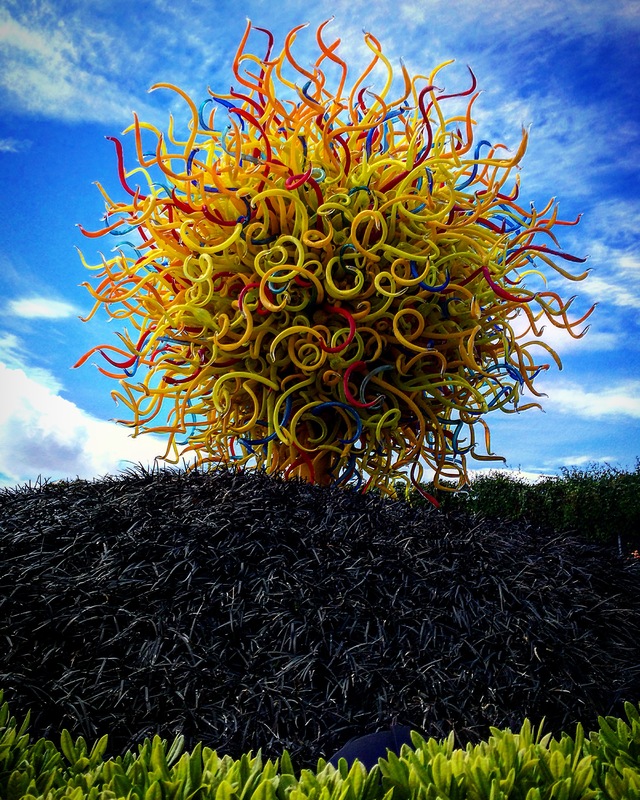 Located directly under the Space Needle, finding the Chihuly Garden and Glass was very easy. 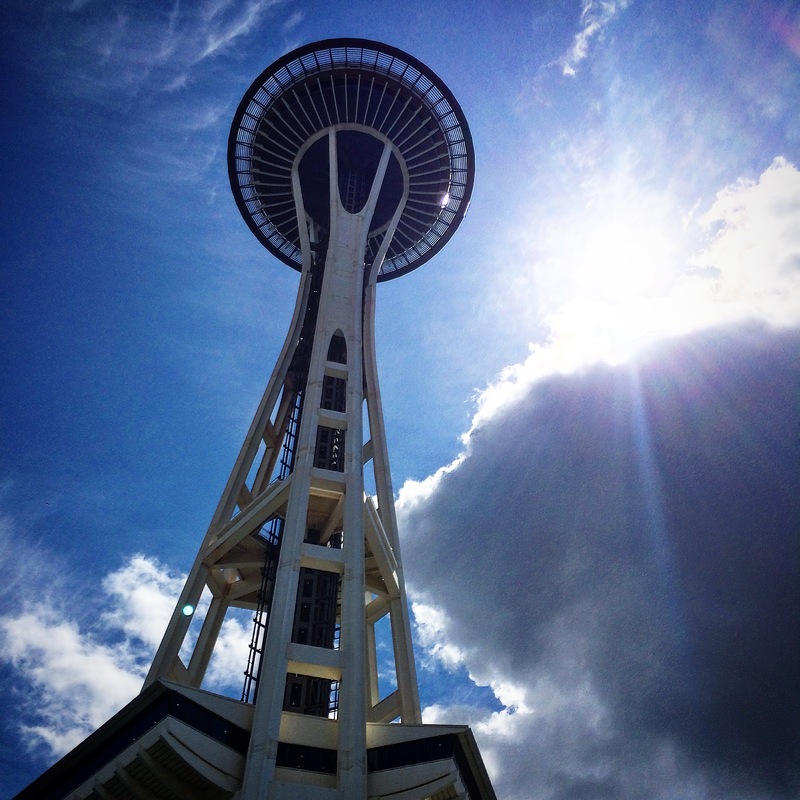 Considering that our hotel was just a few blocks from the Seattle Center, home of the Space Needle, all we had to do was look up to know which way to go. 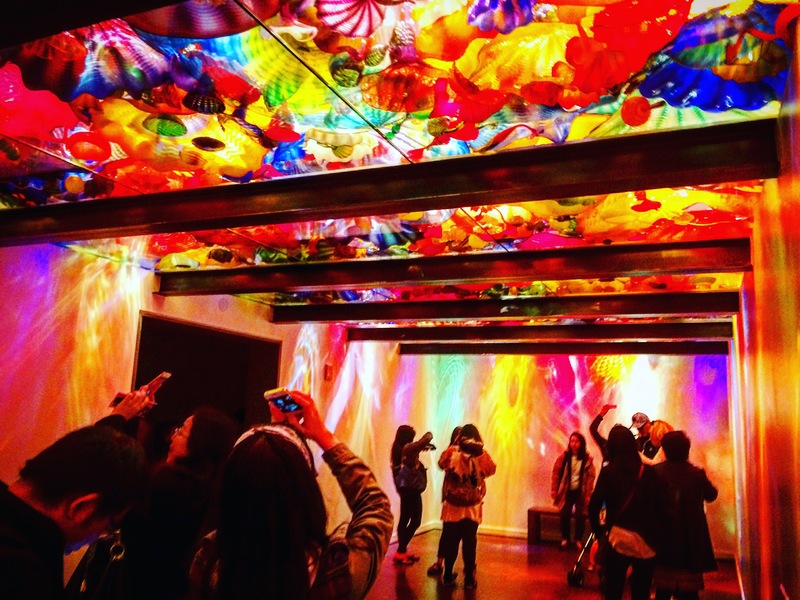 One of the things most museum, tour or attraction websites will ask you to do is purchase your ticket in advance. 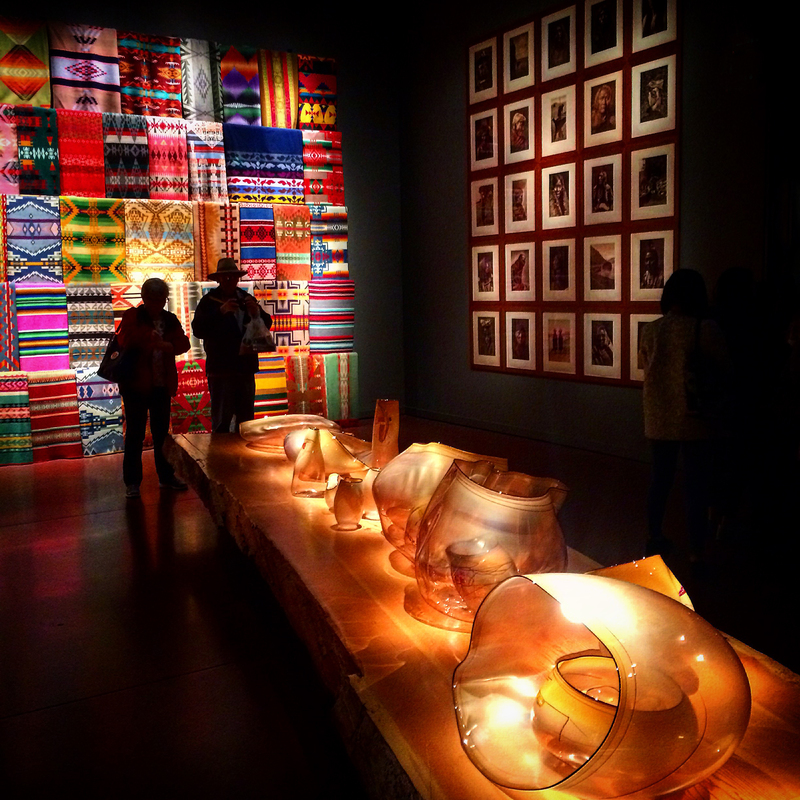 I failed to anticipate the popularity of the Chihuly Garden and Glass. 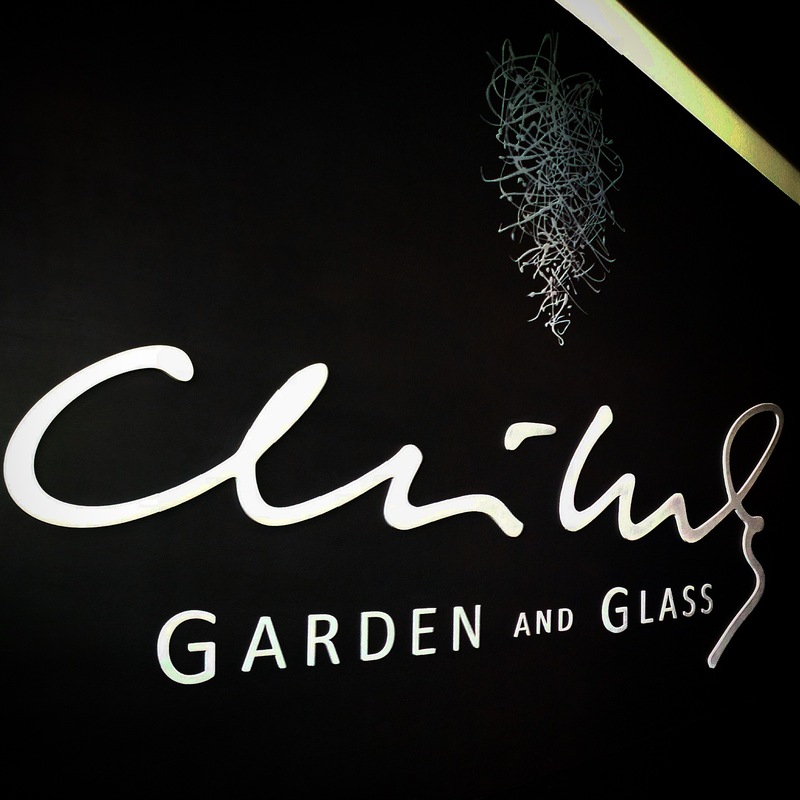 Since we were planning to visit on a Thursday, in May, about an hour after they opened – I certainly didn’t expect a long line to get in. Lesson learned! While standing at the back of the long line of people queued up to purchase their ticket inside, I used my iPhone to go to their website and get our passes. This turned out to be a very lengthy process and I only just completed my transaction after moving 2/3’s of the way up in line. The gentleman behind me noticed what I was doing and asked if he should do the same. It didn’t take much encouraging from me before he had his phone out. 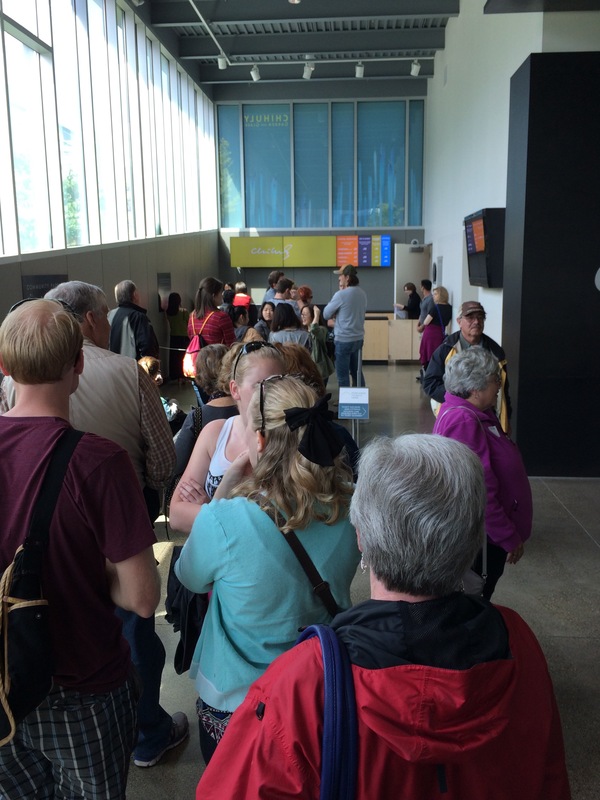 If there’s anything I would do differently next time: Skip the line, order tickets online. 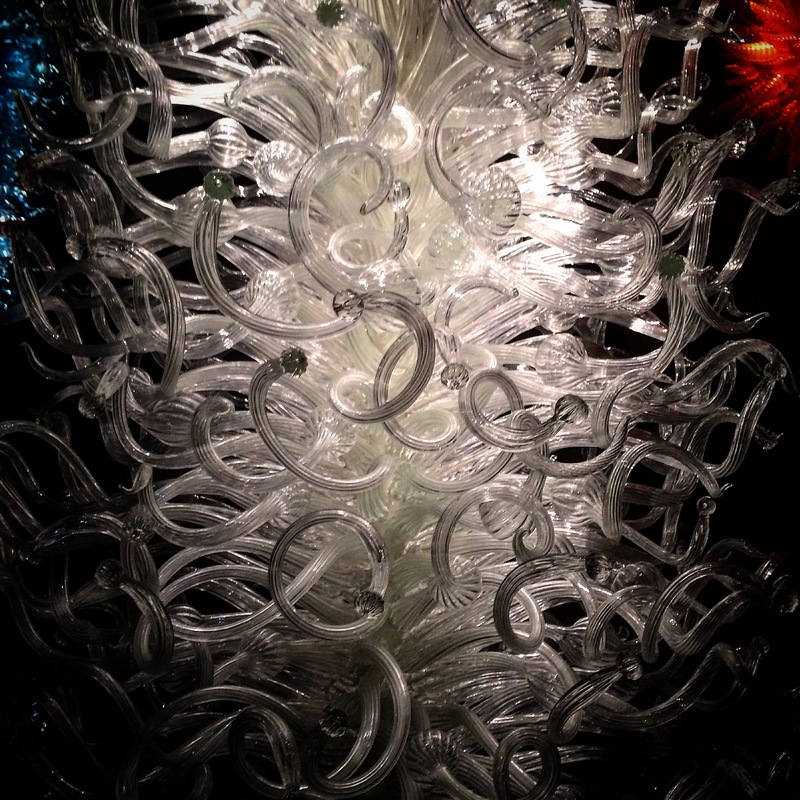 After getting through the complex* process for entering the first of four areas to explore, we entered the first of eight rooms exhibiting some of the more delicate glass-work created just for this show. 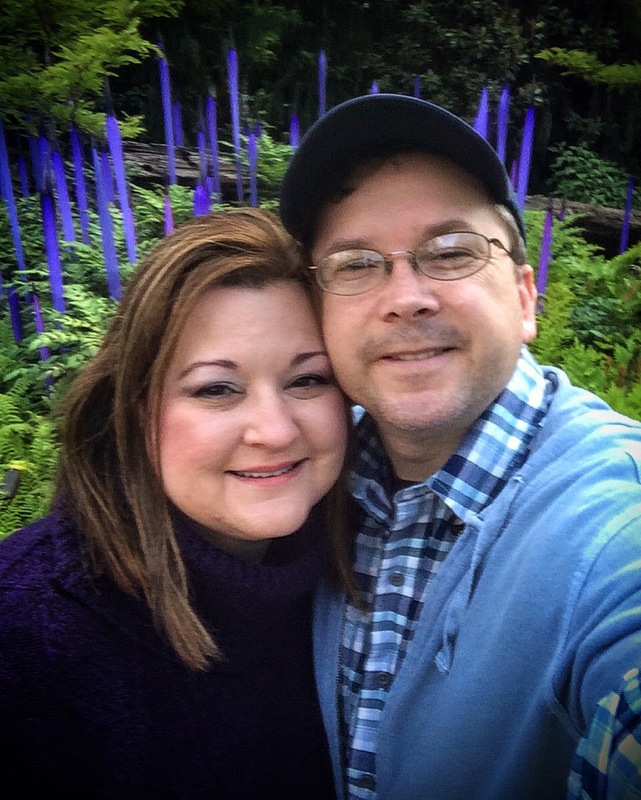 One of my favorite parts of the entire tour was the Garden. I have to say it was pleasing to not know what to expect before going. 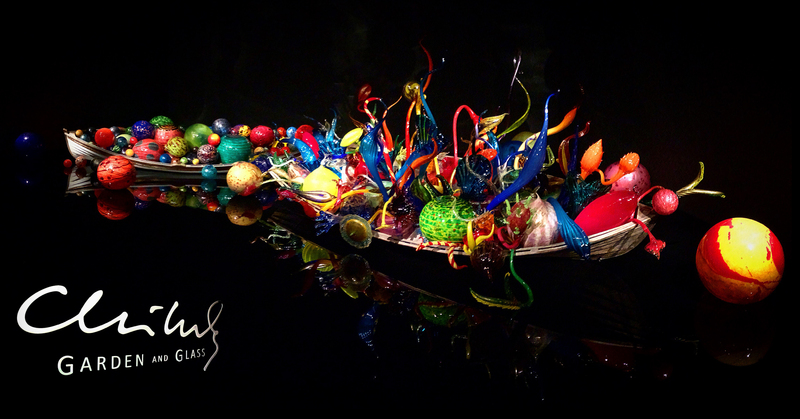 It was about here that I realized that I have seen Dale Chihuly’s work before. 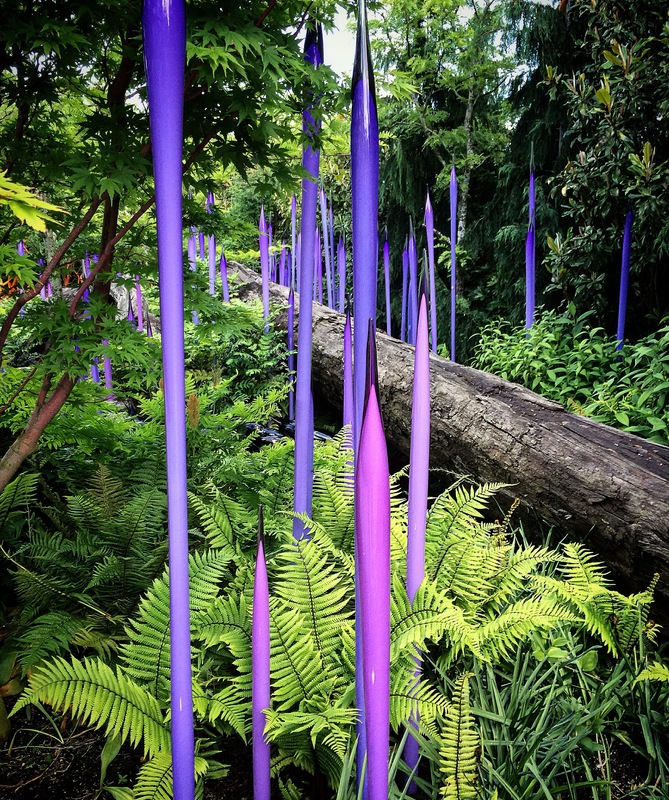 Those past exhibitions were indoor installations, but seeing his work blended in with nature really made it come alive for me. 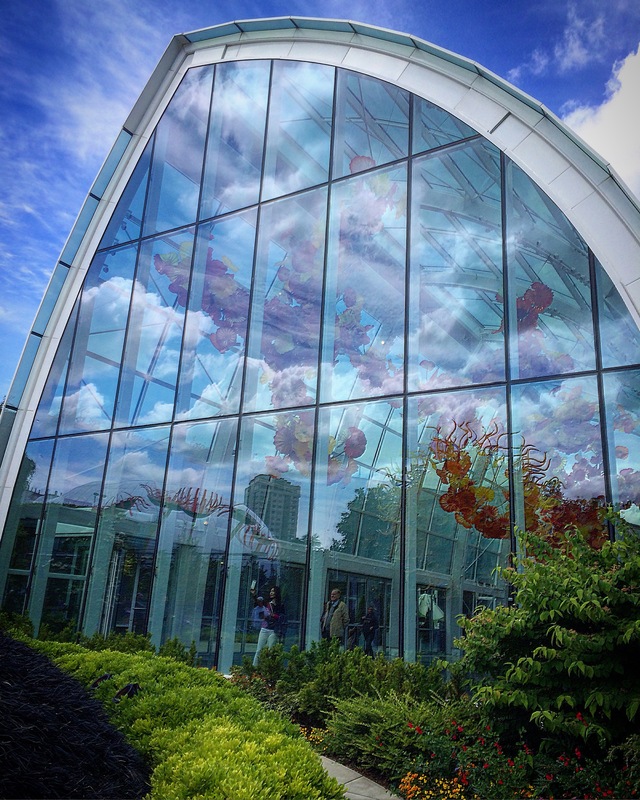 When the website says, “Purchase your ticket in advance,” – DO IT! I love a good museum. It doesn’t matter if its art, history or science. I just have a natural love for learning and when done right, I feel especially pleased as the recipient of a good immersive experience. 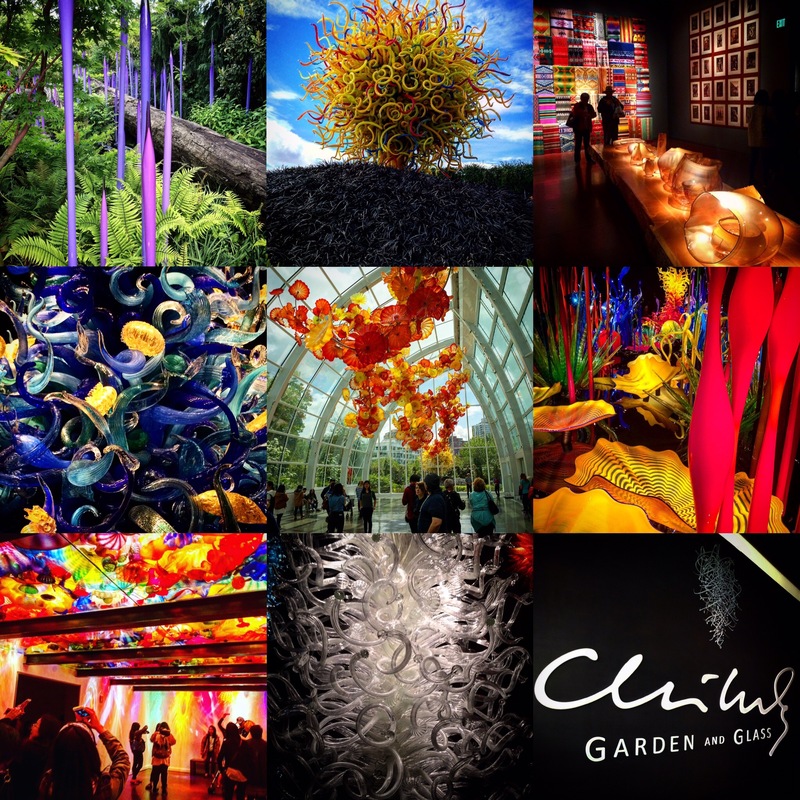 The Chihuly Garden and Glass was certainly one of the best experiences from my trip to Seattle this year. I can’t recommend it enough. 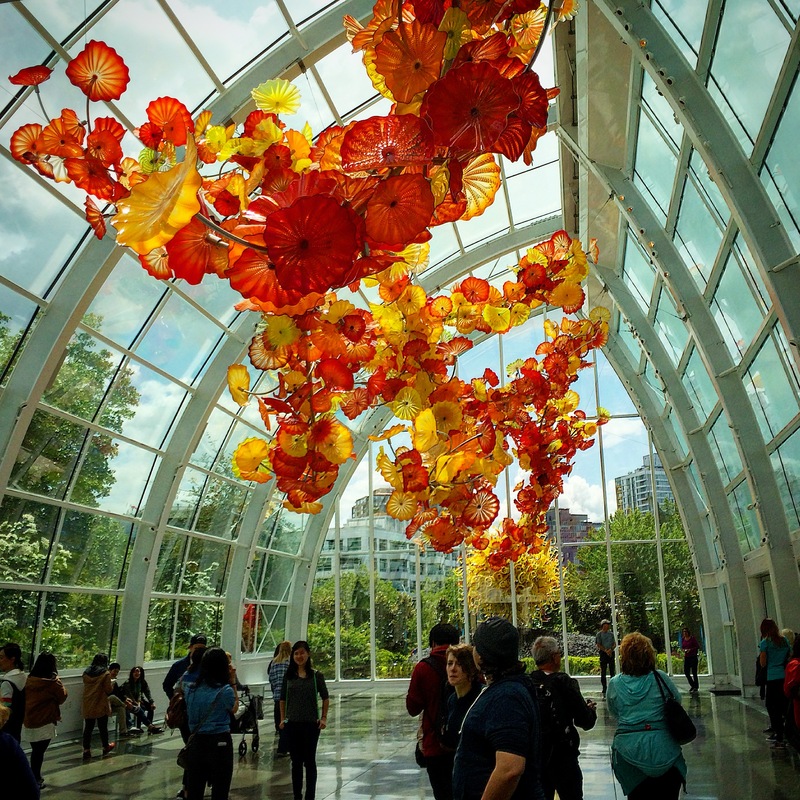 Please let me know if you have any suggestions of similar exhibits in your city.